One of the first ways many people get into sous vide is through sous vide beef. Whether it is a nice steak or short ribs, sous vide can do great things with beef. There is a lot that can go into sous vide beef recipes. We try to cover many of the different cuts and show you how to really prepare it well. 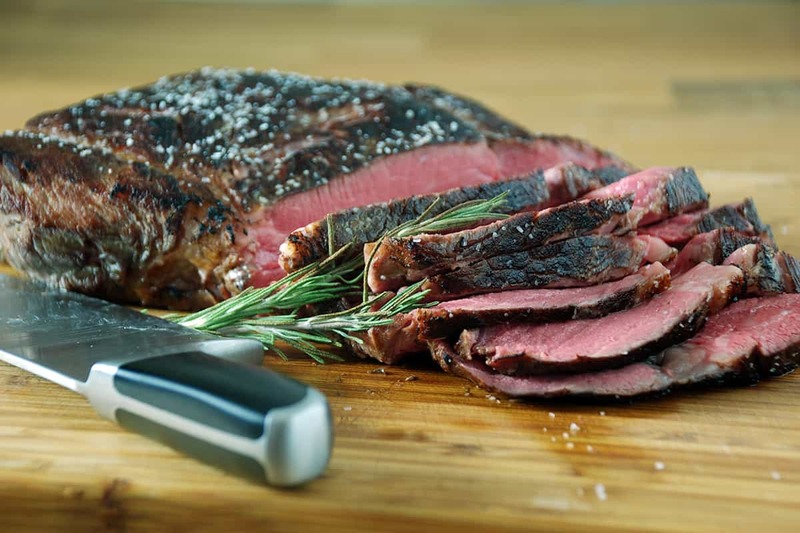 We include everything from corned beef to prime rib to sirloin steaks. Most sous vide beef recipes are cooked at 131°F (55°C) for medium rare or 141°F (60.5°C) for medium. For tough cuts that are typically braised many recipes call for cooking temperatures of 156°F (68.8°C) or 165°F (73.8°C), this results in a more traditional texture and most beef cooked at that temperature can also be shredded. Check out our top recipes and articles for making interesting and unique sous vide beef dishes! Today we are going to tie it all together and discuss how to cook beef and other red meat. I'll cover some of the time and temperatures I recommend for certain kinds of meat and give you the reasoning behind them so you can make your own decisions.